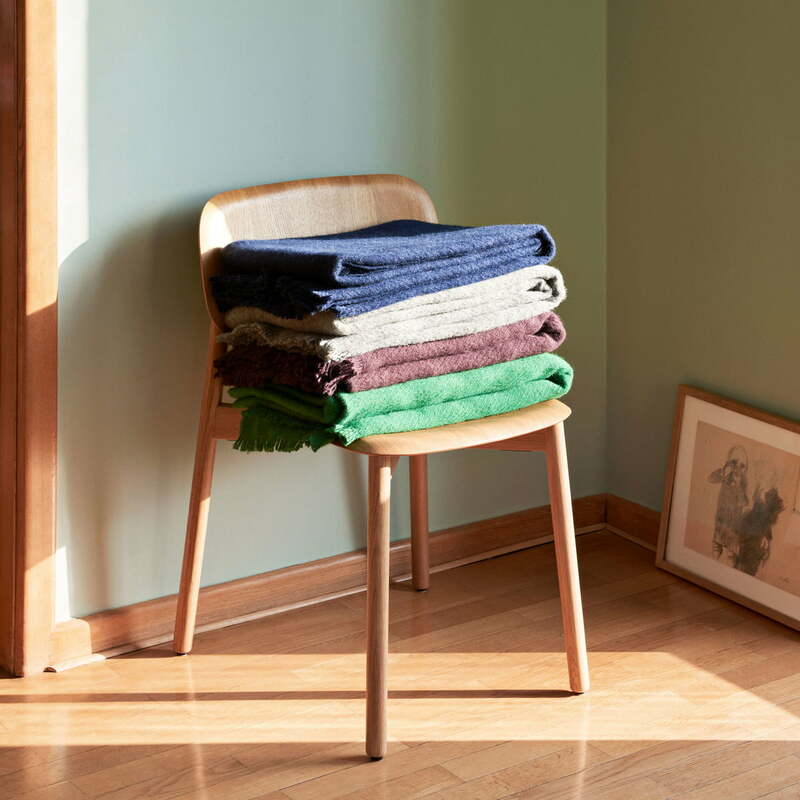 The Mono woollen blanket by Hay is a simple woollen blanket in a plain design that looks great on sofa and armchair in the living area. 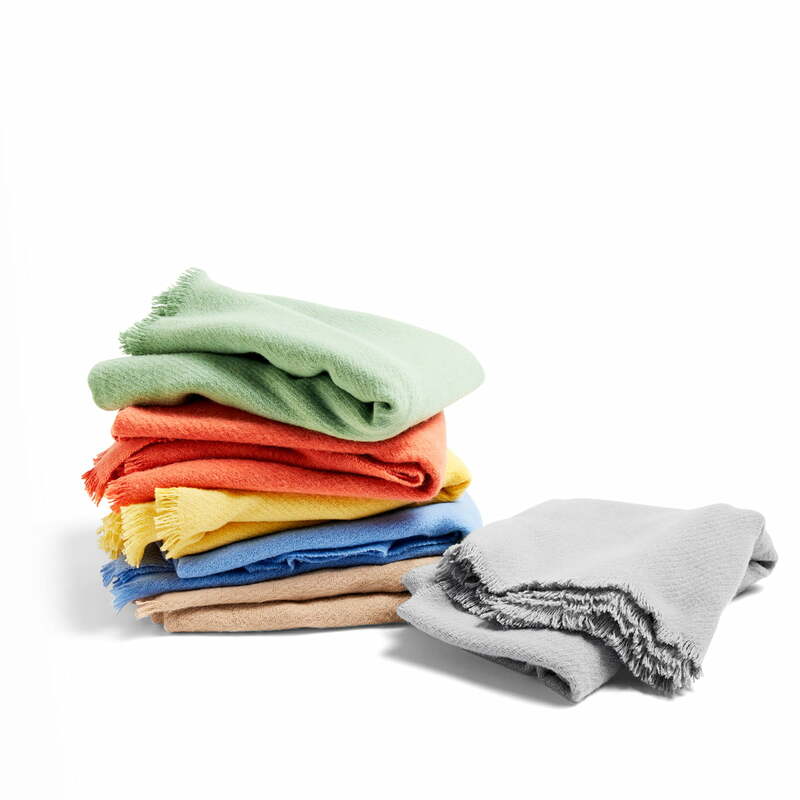 The blanket made of 100% wool is soft and cuddly and provides warmth on cold days. Thanks to its simple appearance, the ceiling, which is available in different colours, blends in perfectly with any ambience. An ingenious detail is the diagonal weaving technique that creates characteristic lines on the ceiling. Fringe on the sides also provide a playful eye-catcher. 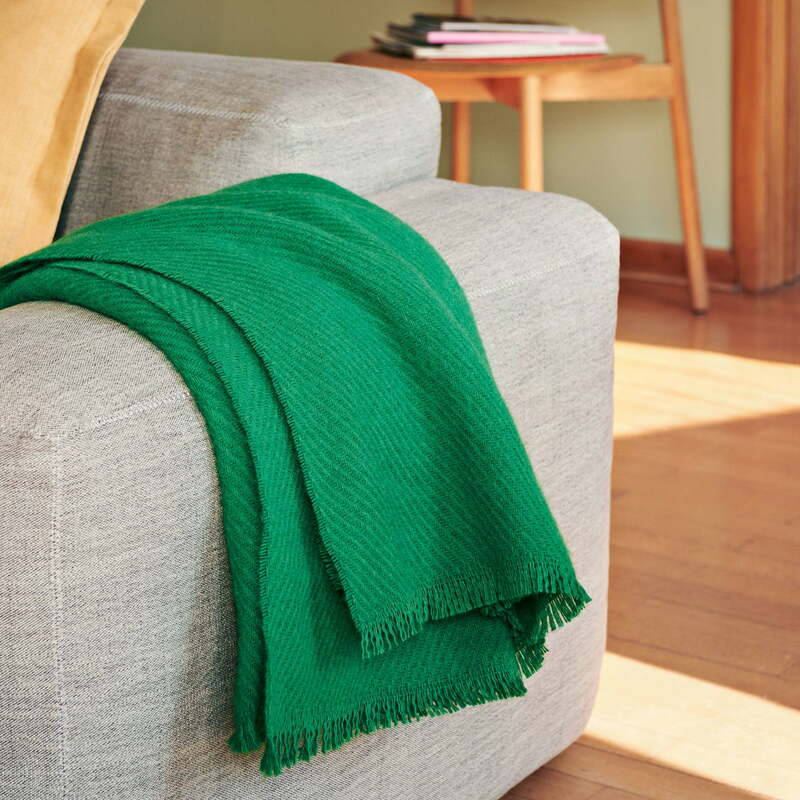 The Mono woollen blanket in the dimensions 180 x 130 cm is available in different colours. The Mono woollen blanket 130 x 180 cm by Hay in fog in single product view. 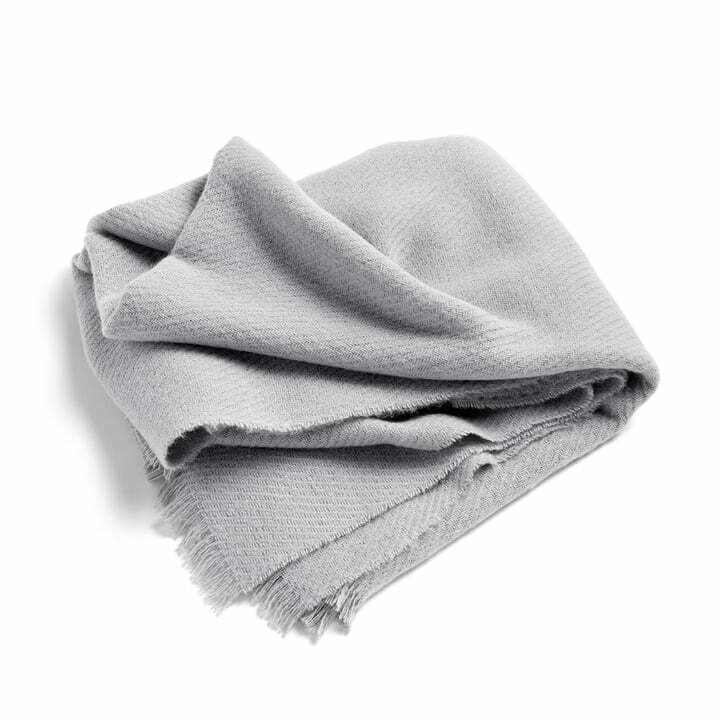 The blanket made of 100% wool in the light grey looks particularly discreet and modern. 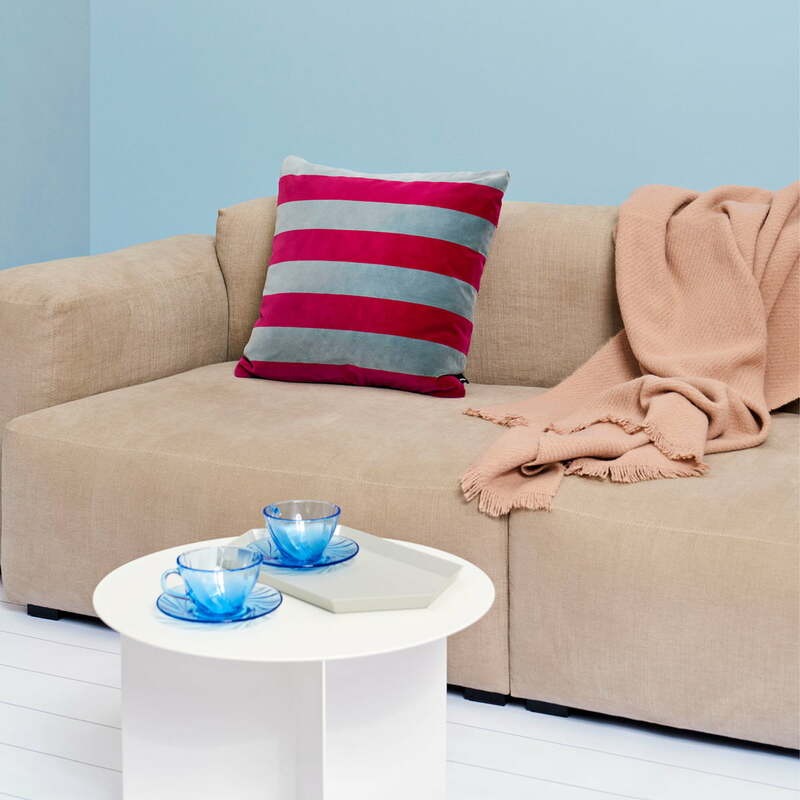 Lifestyle product image of the Soft Stripe cushion in the dimensions 50 x 50 cm by Hay in red next to the Mono woollen blanket by Hay in sky blue on the sofa in the living room. 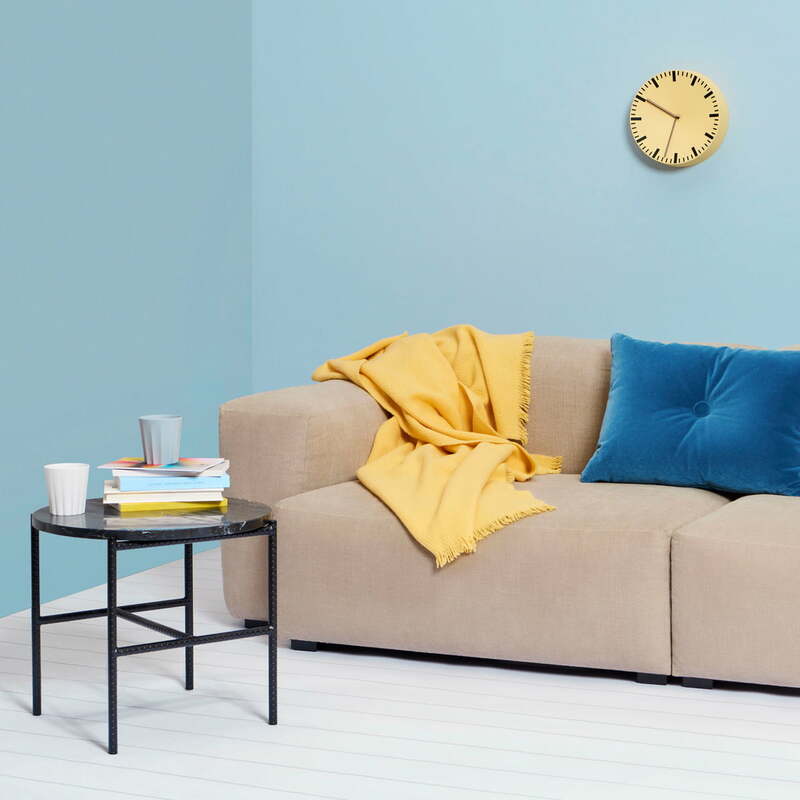 The Mono woollen blanket by Hay is a simple woollen blanket in a plain design that looks great on sofa and armchair in the living area. The blanket made of 100% wool is soft and cuddly and provides warmth on cold days. 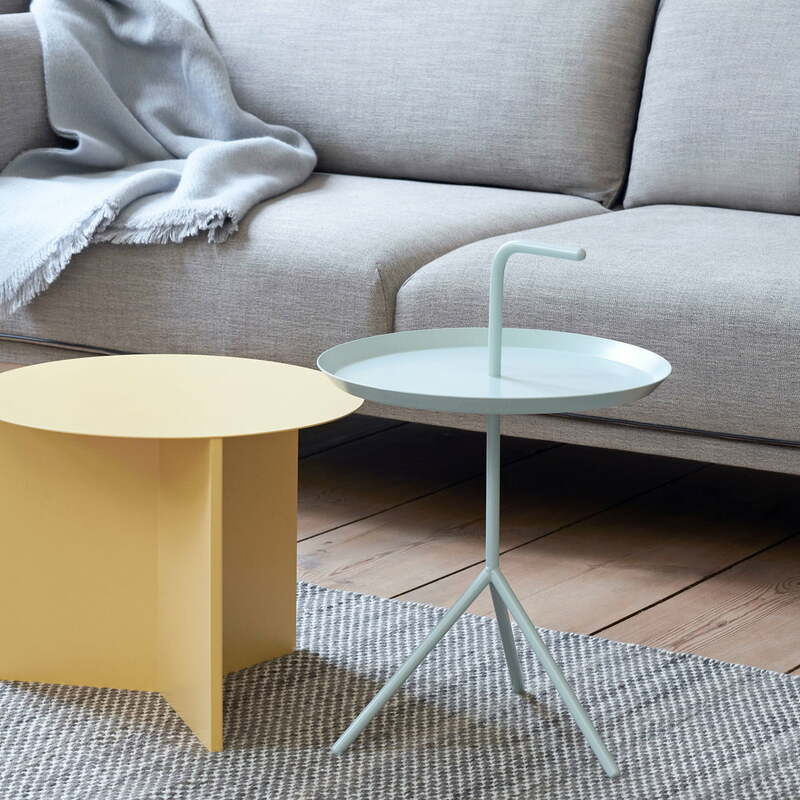 The Slit Table Round in light yellow and the DLM side table in grey by Hay in the ambience view. Together the two side tables look good in front of the sofa. The Mono rug 130 x 180 cm from Hay in grass green. An ingenious detail is the diagonal weaving technique that creates characteristic lines on the ceiling.